WARNING: Anyone who opines that only conspiracy theorists see a connection between red + green globalist-driven dots should stop right here. Post haste. After all, there is only so much effort one should expend on those who prefer to keep their eyes closed and ears muffled. And if said blindfolds are insufficient as “see no (Islamic) evil” buffers, the option is to stick their (collective) heads in the sand – ostrich-like. Pointedly, the advice within is: just step out of this site’s way and move right along – don’t let its (virtual) door hit on the way out! On the other hand, if truth-telling is the end goal, come what may, well, keep reading. Listen. Learn. WITH the above benchmarks in place, let’s peer back to a time (1/93-1/2001) when President Clinton – with wifey in tow – soiled the White House with their shady and dirty dealings. Most infamously, who can forget the stained blue dress, which was more in line with an out of control frat boy than the leader of the free world? Inextricably, he behaved like a hound dog, as opposed to the POTUS! In reality, Clinton Inc. has always operated on par with a criminal cartel – sexual gymnastics beside the point. Yes, Hill and Bill are not called the Bonnie & Clyde duo of politics for nothing! THE query becomes: what’s the point in taking a trip down memory lane – as distressing as it is – if not for a damned good reason? Well, since past is prologue, and history repeats alike, patriots are URGENTLY advised to internalize what really went down under Clinton’s tenure, the back story, to connect the red + green dots. Lying in wait. Who recalls the Oklahoma City bombing in 1995 during Clinton Inc.’s, aka Murder Inc., reign of criminal terror? Oh yeah. Just hark-back to the fabricated tales re the Murrah building’s incineration (that which had so many jive-talking holes in it), and know that a fully loaded truck could have been rammed through it – with barely making a dent in the process! Mind you, countless lies were uncovered through exhaustive investigative work, much of which was conducted by Jayna Davis via The Third Terrorist. Not only that, Obama Inc. had a (cover-up) hand in it too! Indeed, less than six degrees separated….continue reading…. A potential witness in the Oklahoma City bombing investigation had contact with the CIA. That is just one of dozens of revelations in a document released by the CIA, in response to a lawsuit by Salt Lake City attorney Jesse Trentadue. Trentadue has been seeking government documents related to Oklahoma City through the Freedom of Information Act (FOIA), as part of an investigation into the death of his brother while federal custody (story). Trentadue sought documents from the CIA under FOIA. Although the Agency released some documents (story, documents), it withheld many more. In response to Trentadue’s lawsuit, the CIA filed what is known as a Vaughn Index, describing the withheld material in detail. While much of the material was classified, the CIA also refused to disclose several unclassified documents. A letter to a FBI agent describing CIA records searches related to Timothy McVeigh and co-conspirator Terry Nichols. A 10-page fax describing a name trace search conducted by the CIA on Terry Nichols. Multiple documents dated April 20, 1995, describing claims of responsibility for the Oklahoma City bombing. As previously reported on INTELWIRE, there were several such claims in the aftermath of the bombing (story, story). A two-page cable dated April 20, 1995, and titled “Name Trace Results” which describes “a person named in connection with the Oklahoma Bombing investigation, but whom was not the object of plaintiff’s FOIA request.” Trentadue’s FOIA request specifically requested information on Andreas Strassmeir, a German national linked to McVeigh. A two-page cable dated April 21, 1995, and titled “Information Regarding Possible Suspects.” It contains “the identity of an intelligence source and details regarding inter-agency coordination with respect to the intelligence as well as to protect the location of a covert CIA field station and foreign liaison”The Vaughn Index lists numerous other leads generated by human intelligence sources. INDEED, the CIA’s nexus is very clear through the “handling” of McVeigh and Nichols – both of whom were burnt by their handlers! More specifically, jihad in Oklahoma City was coordinated with various Mid East connections, as well as with major input from Abu Sayaff! Know the jihadi players well. Alas, in so far that Paddock was connected to the Philippines (in more ways than through his live-in), so too were McVeigh and Nichols deeply linked. INCONTESTABLY, when Oklahoma’s Murrah Federal Building blew, it was Abu Sayaff’s leading bomb maker, Edwin Angeles, a Muslim terrorist (who happened to learn his trade through his mentor, Ramzi Yousef, you know, the infamous explosive hand behind the 1993 blow up of the World Trade Center) who rigged it! 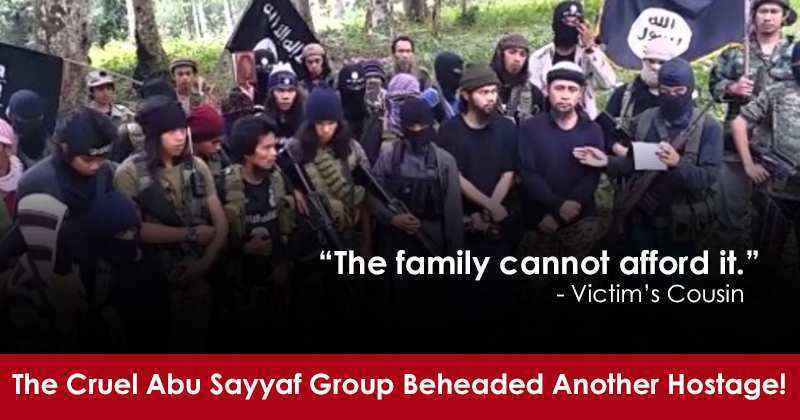 REST assured, when most of the layers are peeled back from Vegas, know that Abu Sayaff – the Philippine’s Islamic terror arm – will be, once again, front and center, as will be the CIA. The scuttlebutt is that Abu Sayaff has a VERY close connection to the CIA, much of which wends back to the war in Afghanistan when the CIA trained Al-Qaeda, the mujaheddin, against the Soviets. Talk about blow back! More than likely, the FBI will prove to have a “supportive” role in Vegas’s cover-up, as has already been evidenced in Oklahoma City’s “taste” of jihadi terror! REGARDLESS, and most significantly, the poop and the scoop is starting to seep through. Currently, the timeline for the shooting and other pertinent eye-witness reports are wending into the public domain. Trickling….trickling…. GUARANTEED: one way or another, Paddock, aka Samir al-Hajib, became enmeshed with Islam. Let’s not waste time denying it. But what remains open to further investigation is the “chicken and egg debate”; that which law enforcement leaders and intelligence circles are well acquainted. SO, by starting from point A, the first logical question becomes: in which capacity was Paddock operating as an intelligence asset? Was it via his own volition as a CIA gun-runner (think: Benghazi-like) and money launderer?Indubitably, gambling is a main hub for laundering – no questions asked! IT is under this highly likely scenario, while on his (confirmed) Mid East travels, he became enamored with Islam. Thus, he mirrored John Brennan. Still yet, if flipped around, it is possible he was “recruited” due to a “deal he couldn’t refuse” – when caught in criminal activity by local police. Resultant, one way or another, he would have been handed over to the FBI as an informant. Consider both observations as “Door A” or “Door B” – old-fashioned “who’s on first” scenarios! Either way, he was “handled.” Again, let’s not waste time side-stepping around the elephant in the (national security) room. Of course, even innocent Americans are considered collateral damage, when the CIA and the FBI are running operations – for whatever political outcome is on tap. TO wit, with the above in mind, an urgent understanding is required re the constant “push and pulls” between local/state policing and intelligence agencies – that which drives and impacts all directional markers, ultimately, the decision-making. EFFECTIVELY, in the main, the priorities of local/state law enforcement are not intelligence driven. Not only that, aside from the NYPD, few are barely up to speed. On the other hand, intelligence agencies, by definition, start out by gathering intel, which, in turn, informs their leadership which direction to take the investigation. Understood? ALL of which leads back to the most basic question of all: conclusively, why in the world would the police and FBI stick to their shuck and jive story/timeline for an entire week (and in the largest mass shooting in U.S. history, no less), if not to protect the powers that be – those whose globalist interests lie elsewhere and are invested in keeping the public in the dark?? BUT while seemingly out of left field, this too bears the closest scrutiny: in so far that “The Donald” surely wants to get to the bottom of Vegas’s jihad (as POTUS, and as a stakeholder in Vegas’s financial future), it is more than likely that “Javanka”, aka the “familial swamp“, will steer him towards the Demster’s narrative, that is, don’t connect the globalist-driven red-green dots! The dinners would appear to contradict prior reports that “Javanka” are trying to keep to their lanes after upsetting key officials in the administration with their constant presence on key policy decisions. Secretary of State Rex Tillerson reportedly refers to the pair as the “royal family” and the pair have been accused of causing “periodic confusion and resentment” among officials….continue reading…. THIS go-around, Vegas’s smoke and mirrors show is not akin to its usual fare of actual smoke and mirrors. If only. Rather, it has now gone down in history as the city with the most “successful” terror attack, since 9/11/01 – bloodied corpses littering its wake! Mind you, this title was once held by Orlando, when the Pulse Club blew apart on June 12, 2016 – as another ISIS soldier, Omar Mateen, acted on behalf of Islamic jihad! 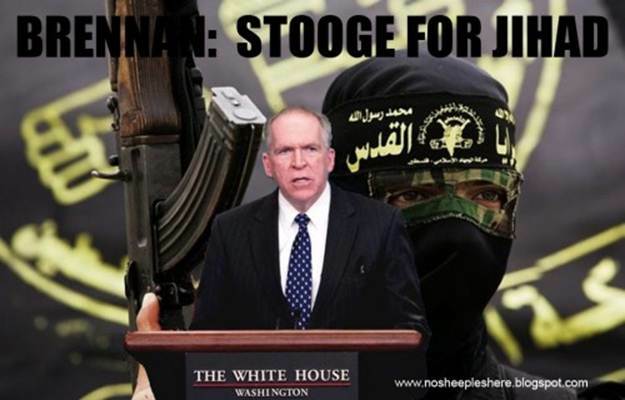 THE twists and turns of jihad in America….and this ain’t a conspiracy theory!